I've posted all of these appearances before but this is a reminder that there is a big show this Saturday at Frank & Son Collectible Show. 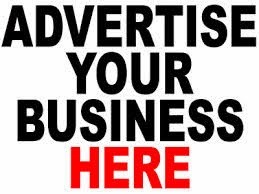 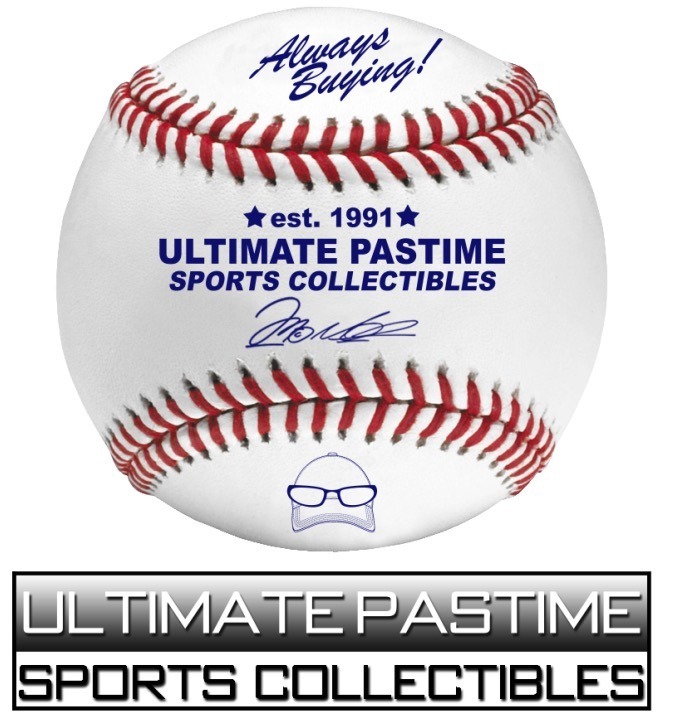 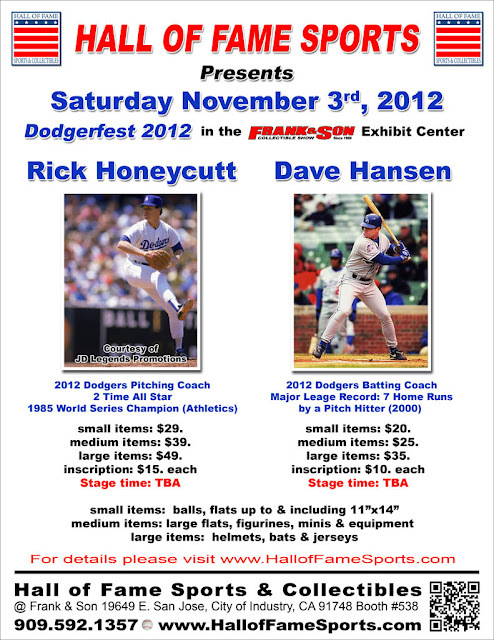 It's being run by Hall of Fame Sports. 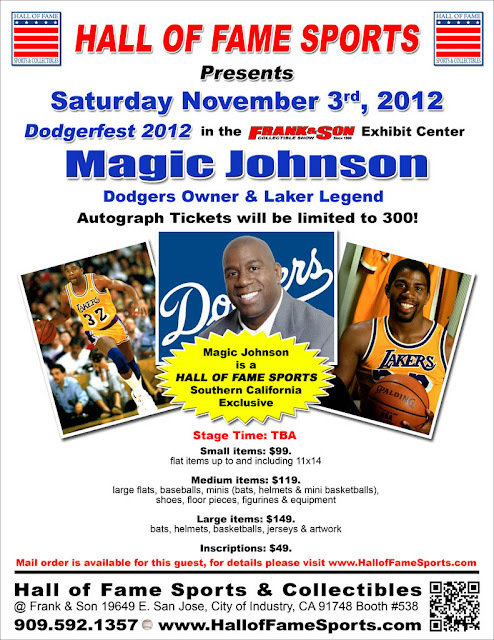 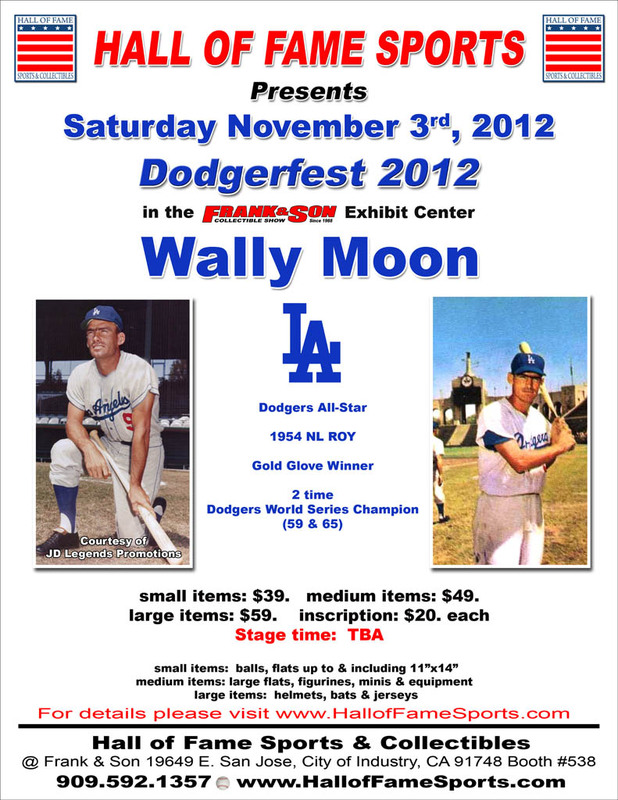 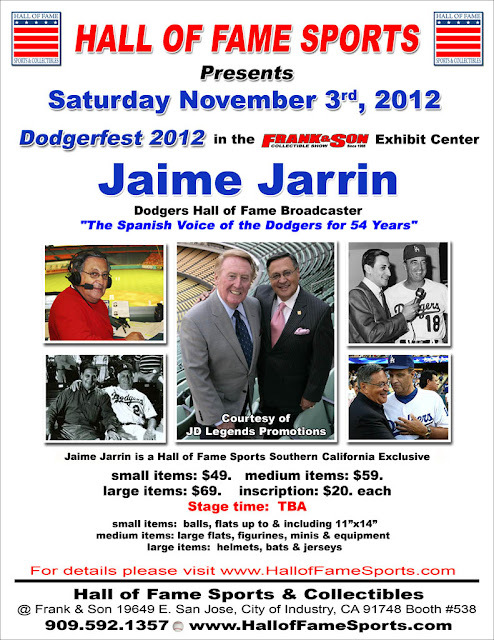 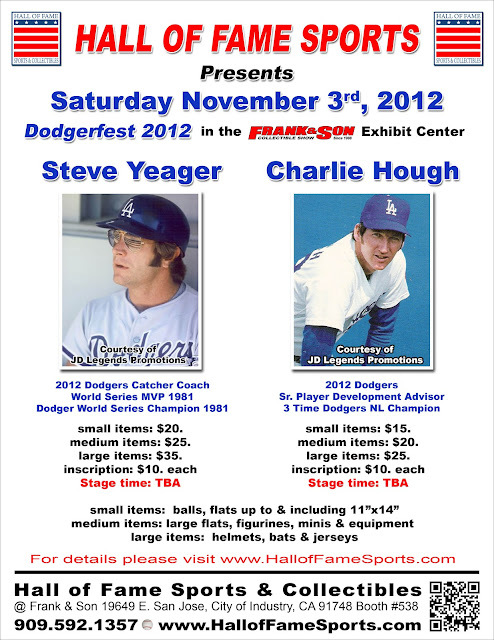 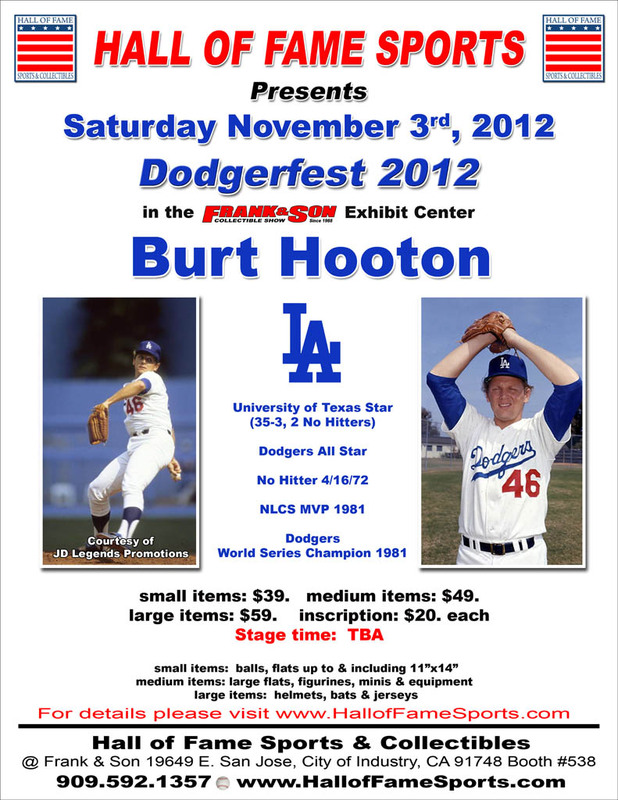 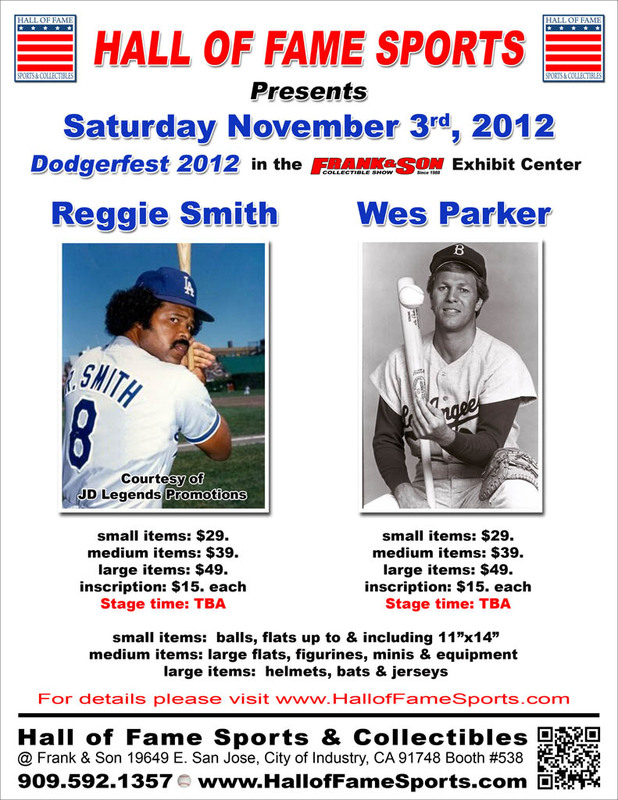 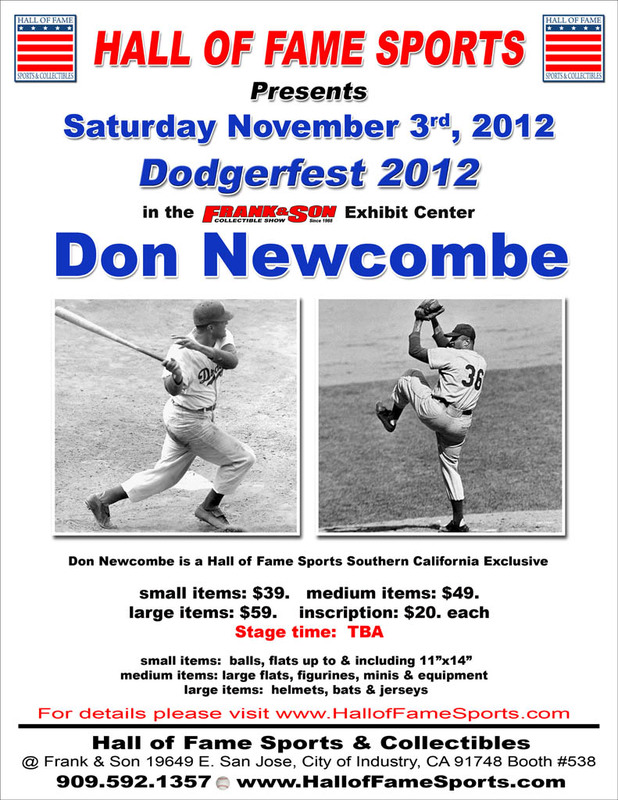 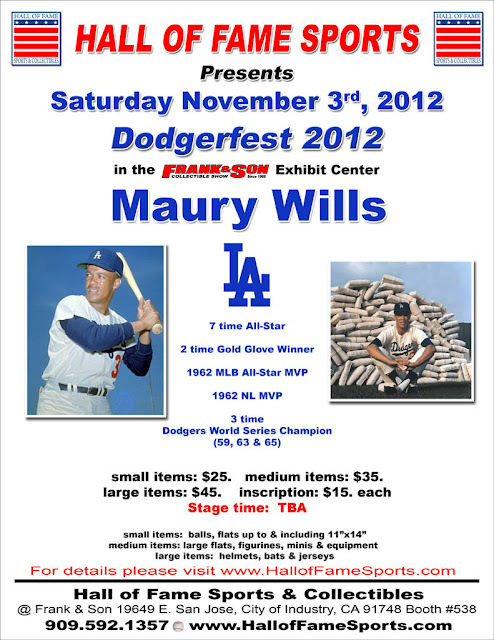 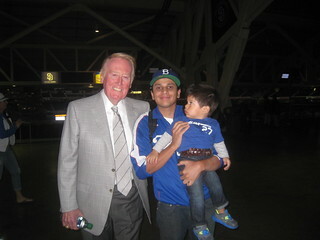 15 ex-Dodgers, Jaime Jarrin and Magic Johnson will be signing autographs. Al Ferrara will also be signing autographs. For stage time and other info, click here. 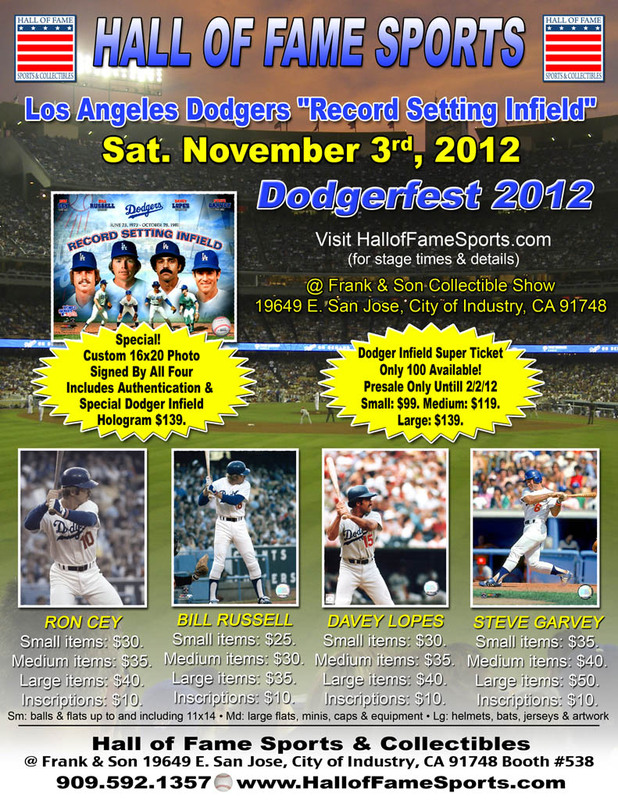 This event is worth coming to early just for the free bag of goodies you get for being the first 100 or so people in line.